My wife, Karen, and I invite you to embark on this incredible cruise. Where better than Alaska to experience the grandeur of God’s Creation? From pristine waters to beautiful landscapes to incredible wildlife – you will cherish these moments forever! We are privileged to be joined by Bruce Malone, a renowned author and Creation speaker. He will share the relevance and evidence for Creation as we view God’s beauty all around us. 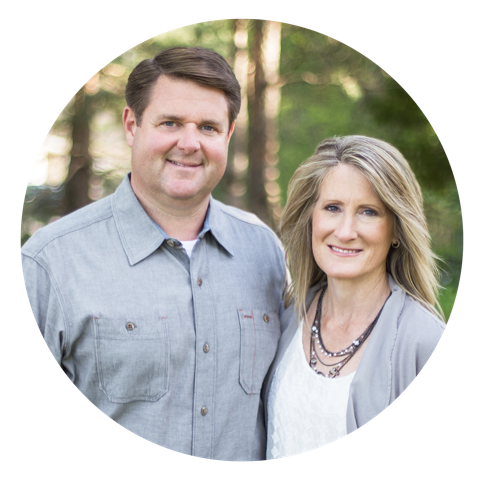 Bruce began his ministry called “Search for the Truth” with a goal of putting creation materials into the hands of young people. His fifteen published books have over 220,000 copies in print. As a special bonus, you will receive your own copy of “Explore the World” to serve as a memory of God’s magnificent design and this special experience. Each day you will be surrounded by magnificent beauty, enjoy a time of spiritual refreshment, and be encouraged as you fellowship with other believers. Our meetings aboard the ship will feature beautiful music performed by Brett and Stephanie Zellmer. By experiencing God’s Creation in the splendor of Alaska, I pray you will draw closer to our Heavenly Father. My wife and I look forward to spending these days with you from July 8-15, 2019. Don’t delay in signing up! Please invite your friends and family members to celebrate this memorable experience with you. 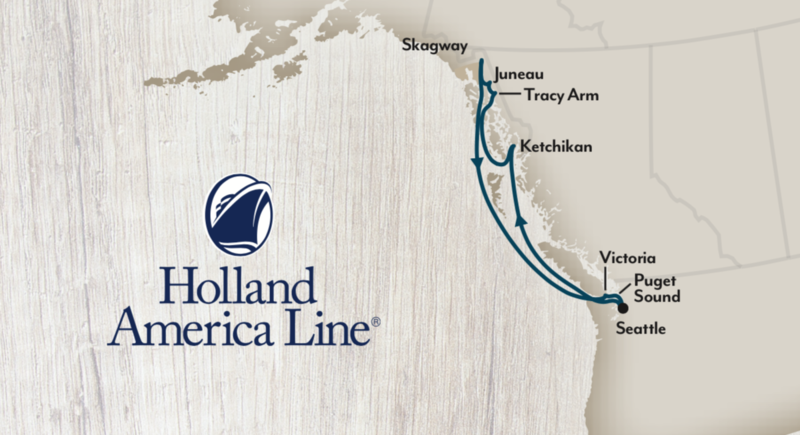 Alaska’s “First City” of Ketchikan is so named because it’s the first major landfall for most cruisers as they enter the picturesque fjords of the Inside Passage. Explore historic Creek Street built right over the water. Shop for souvenirs, smoked almonds and local art. Then return to the ship to conclude the day with a time of worship and encouraging message. Observe the beauty of God’s creation as you see the steep cliffs and glacier-covered mountains that flank this fjord. Awake to beauty all around. Enjoy the day in Alaska’s capital. Join a sightseeing or whale-watching tour or even catch a floatplane to a near by wildlife reserve. Enjoy being surrounded by water, forest, and mountain sights. This is the northern most point of our cruise. Here you’ll find a vibrant local community, home to a rich collection of local galleries, curio ships and restaurants serving seafood plucked fresh from nearby waters. Enjoy a day of sight- seeing followed by an inspirational message and worship. Wake up another day marveling at God’s glorious creation all around. Take advantage of the ships amenties, then venture into the city to take advantage of Victoria’s sights and attractions at the Inner Harbour. A great entry-level cabin. 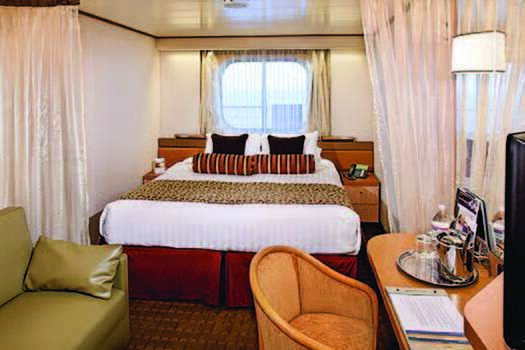 Two lower beds convert to one queen-size bed – featuring Holland America’s signature Mariner’s Dream™ bed with plush Euro-Top mattresses, premium massage shower heads and a host of amenities are featured in these comfortable staterooms. Approximately 182 square feet. An excellent choice for those looking to have a window in their cabin. 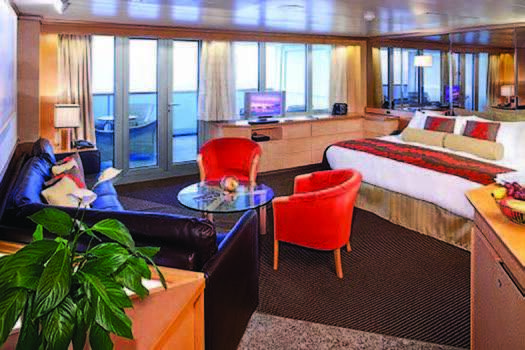 Two lower beds convert to one queen-size bed – featuring Holland America’s signature Mariner’s Dream™ bed with plush Euro-Top mattresses, premium massage shower heads and a host of amenities are featured in these comfortable staterooms. Approximately 182 square feet. A perfect option for those wanting a balcony. They include a teak-lined verandah, floor-to-ceiling windows and comfortable sitting area, these comfortable suites are filled with light. 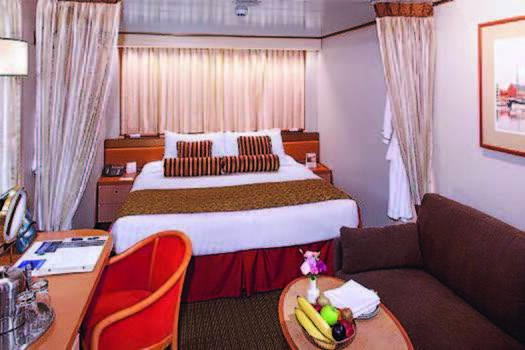 They include two lower beds convertible to one queen-size bed—our signature Mariner’s Dream™ bed with plush Euro-Top mattresses, plus a whirlpool bath, shower, and refrigerator. Approximately 292 square feet including verandah. Enjoy the finest aboard the cruise ship. Each suite boasts floor-to-ceiling windows with a private verandah. 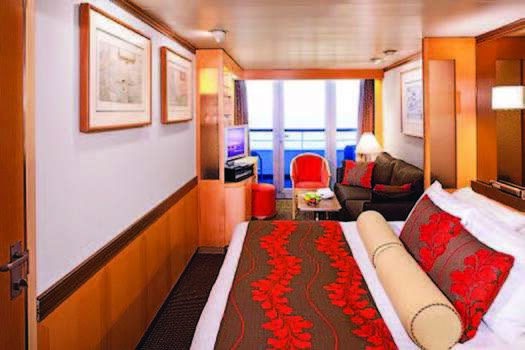 They feature a large sitting area and two lower beds convertible to one king-size bed—our signature Mariner’s Dream™ bed with plush Euro-Top mattresses. The bathroom comes with a dual-sink vanity, full-size whirlpool bath and shower, plus additional shower stall. Amenities include use of the exclusive Neptune Lounge, a private concierge and an array of complimentary services. Approximately 558 square feet including verandah. Download our brochure for pricing, accommodations, and much more.